The Sheraton New York Times Square is one of the few big hotels in the Times Square/midtown competitive set that allows for a one-night stay and doesn’t require a multi-night stay on New Year’s Eve ($699 for Superior Room / $899 for Club Room). Similar hotels in the competitive set: W Times Square, Westin Times Square, Marriott Marquis, Grand Hyatt, Millennium Broadway and Hilton Midtown. Revels will enjoy extended hours on New Year’s Eve in the lobby bar (open until 3am), and champagne toast at midnight. The 44th Floor Club Lounge bar for Club Level guests is open until 11pm. Sheraton Social Hour wines are available from 5-8pm, with 2-oz pours of signature wines from rated 90+ points by Wine Spectator for $5. 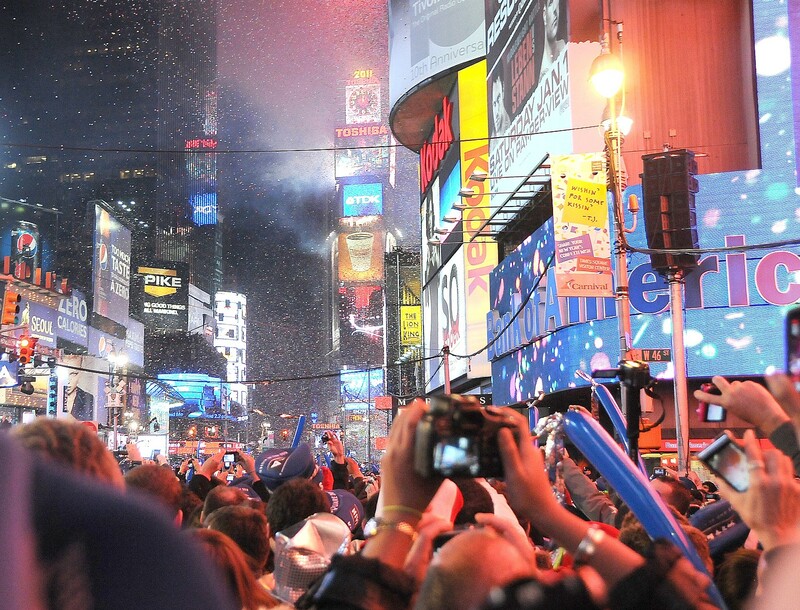 Book by clicking here: www.sheratonnewyork.com/NYE-hotel-package or call 888-627-7067. The 1980s were Miami’s most decadent decade, and The Mayfair Hotel & Spa was ground-zero when the global TV phenomenon Miami Vice introduced the world to a whole new Miami destination. 2014 marks the 30th anniversary for both The Mayfair and Miami Vice. The legendary Coconut Grove landmark hotel kicks off its year-long “Miami Vices” special offers and celebrations with an over-the-top New Year’s package rejoicing all the fun and sun that made the 1980s television show so sensational. Three nights in a Mayfair Suite with a private terrace, and a Japanese Soaking Tub built for two. Need-for-Speed? Step on the gas in your very own vintage Ferrari, and thunder across Biscayne Bay aboard an original Miami Vice Speedboat, just like the speedsters from these Miami Vice scenes http://bit.ly/YiRNT4. You’ll be cast in your take-home commemorative Miami Vice video for posting on your social media and to share with your friends. A historic tour of 1980s Miami Vice locations, and a Miami nightlife tour. Time to wind down? A couples’ massage at one of the Mayfair’s rooftop poolside cabanas. Flamingo-colored 1980s gift bags, including Ray Ban sunglasses, The Complete Series DVD package of Miami Vice episodes, and soundtrack CDs. The Mayfair Hotel & Spa is part of the Schlesinger family’s portfolio which also includes the Brazilian Court Hotel in Palm Beach. For reservations and more information, visit mayfairhotelandspa.com or call 305-441-0000.